From the console when the switch is booting you will see a prompt to hit any key to break the autoload... i would break the load. Then type printenv and a screen like the bottom picture should appear. Take note of your values and save yourself a screen shot to use as reference of your needed values. Every model of switch uses similar values but they are not all the same.... so makes sure you use the exact name acronyms you see in your own switch. Please note the example above may very depending on your switch. Each switch has slightly different name values. 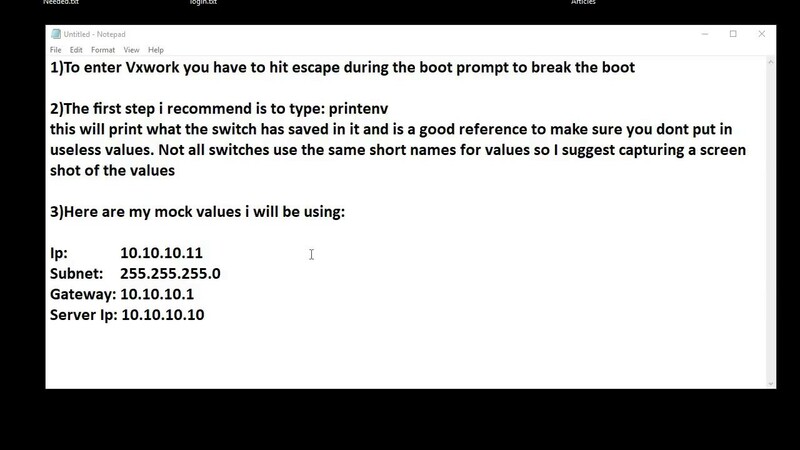 SO Please use the Printenv command to reference your switches required values. Last edited by Lance; 03-22-2018, 10:37 AM.